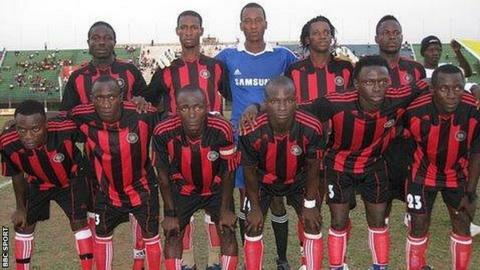 The Sierra Leone Football Association (SLFA) said a programme of year-ending competitive domestic fixtures would be drawn up after the ban on football and other sporting activities in the country was lifted. President Ernest Koroma lifted the ban after the number of recorded ebola cases in Sierra Leone went down. The suspension was put in place a year ago to stop the spread of the outbreak in the country - one of three nations, along with Guinea and Liberia, most severely hit by the disease. The SLFA welcomed the lifting of the ban. "This will now provide us with an opportunity to carry out football related activities in the country which is the primary function of the FA," the head of SLFA competitions, Sorie Ibrahim Sesay, told BBC Sport. "Our clubs can now go into full scale training sessions. "The SLFA will soon come out with a calendar of activities in playing local competitions to climax the 2015 calendar year," Sesay added. The lifting of the suspension was a big moment for Sierra Leone's domestic league champions, East End Lions. "It's good that the ban has been lifted as it has affected us a lot - particularly the players who have made football their career," Abdul Rahman Davies, Assistant Secretary general of the East End Lions told BBC Sport. "We were unable to take part in the 2015 African Champions League because we were not training as a team. "We'll now put measures in place to resume training soon in preparation for domestic competitions and I'm sure it's the same for other clubs in the country." Sierra Leonean FA Cup champions Kamboi Eagles did manage to take part in this year's African Confederation Cup but played their home leg at Chlef in Algeria - with ASO Chlef eliminating Kamboi Eagles from the competition. Whilst the domestic sport suspension has been lifted, Sierra Leone is still banned from hosting international matches by African football's governing body, the Confederation of African Football (Caf). The SLFA's Sorie Ibrahim Sesay said the lifting of this ban was the next target in helping the country's football development. "Most importantly it's sufficient to Caf that the ban imposed on us not to program matches in Sierra Leone must be reviewed to allow our people to watch matches of our various national teams." Meanwhile, the lifting of the domestic ban also spelled good news for Sierra Leonean fans of English football. For the first time in a year, spectators were able to watch Premier League matches in cinemas and bars after bans on attending entertainment centres were also lifted.